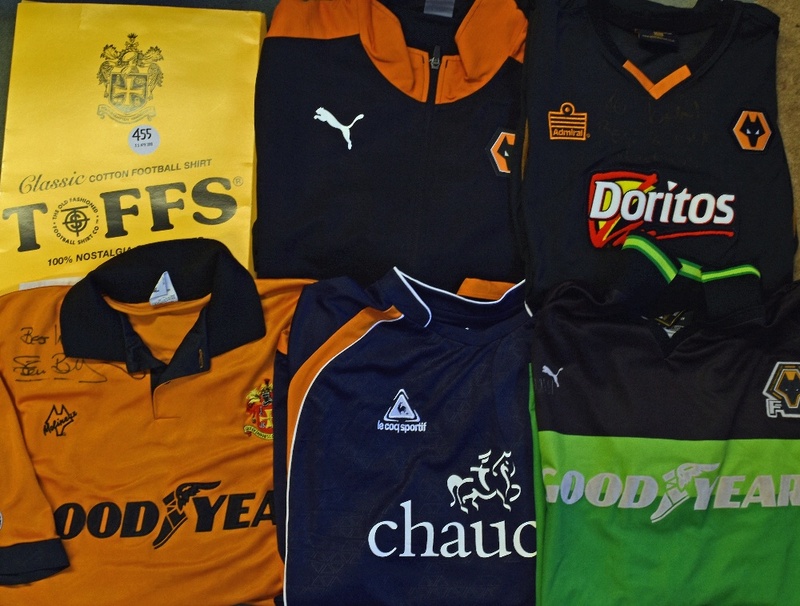 Collection of Wolverhampton Wanderers official replica shirts to include 1960 FA Cup by Toffs (size XL), Track Suit top by Puma (size L), Wolves player shirt No. 9 (42 to 44) with Steve Bull signature, Wolves player shirt No. 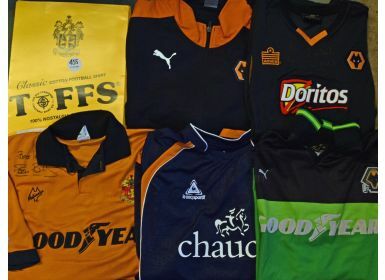 4 Olofinjana official issue, Wolves away shirt with Doritos motif autographed by Mark Kennedy official player issue, Wolves goalkeeper shirt (size XXL) Puma replica issue Goodyear motif. (6 in 1 box) Good to Very Good.